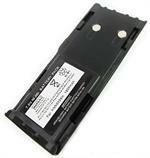 HNN9628h: 7.5 volt 2500mAh high-capacity Ni-MH battery for Motorola Radius GP300, GP600, GP88, LCS2000 radios. Replaces original # NTN9628A. Includes spring-loaded belt clip. Battery can be slow-charged or fast-charged. 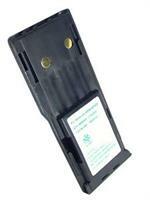 CBE-9628: Battery Eliminator for Motorola GP300 radios. Enables the GP300 radios to be used from a 12-13.8VDC power source (vehicle cigarette lighter plug, portable 12V power kit, etc). Clips onto back of radio (just like the battery does). 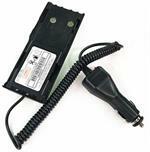 HNN9628 : 7.5 volt 1200mAh rechargeable Ni-Cad battery for Motorola GP300 radios. Includes belt clip. HNN9628: 7.5 volt 1200mAh rechargeable Ni-Cd battery for Motorola GP300, GP600, GP88, LCS2000 radios. Replaces original # NTN9628A etc. Includes spring-loaded belt clip.